If you following me ( I am sure you do 😉 on Instagram, you will know, I am proud owner of this stunning baby blue Fuji Film Instax Mini 8. It is my baby now, I am taking the camera with me anywhere, I got cute bag for it as well. I love the idea of Instax. Years ago, I wanted the real Polaroid badly. I kind of grew off that over years not being able to afford one, but now my teenage dream come true! I am designer, a creative person and I know how much digital images took over the traditional way of photography. I am the traditionalist, I love reading books and getting inspired from them rather Pinterest. Today, we have selfies, million apps where we can re-touch images etc. Here is the reality. You can’t delete them and then recover them like on phone or computer, you can’t re-touch them either. 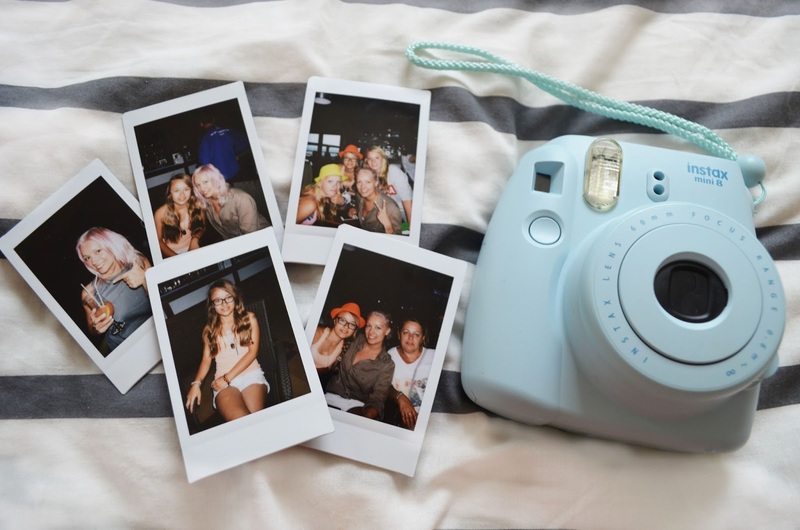 And this is the beauty of Instax Mini 8, it’s the traditional way of making memories. This is a special camera, for a special moments. Today, I wanted to show you the camera closer. My journey with Fuji Film Instax Mini 8*, began about a month ago. Me and John were the first people to see how it works when my parcel arrived! btw. he is behind the lovely pictures of me holding instax! I have managed to pretty much destroy the first film, as I opened to check if I put them film correctly! As if I did it!! Yes, I did! Idiot me sometimes, I would blame the blond hair underneath my pink for that. Once, I have learned how to work the camera and the film, I have the best time ever having fun with it. The first photos didn’t worked well, so sadly I won’t show you them but here I wanted to share with you my experience, so if you lucky to get your hands on this stunning camera, follow this few steps and advises, so you will make best of your little baby! 1. Do not open the film once inserted. Don’t make the same mistake as I did. 2. To insert the film is easy, open the package and you will have coloured rectangle- the same rectangle is inside the camera. You won’t miss that. 4. Check the options in front and set camera to the current lighting conditions, as failing that, may cause your photos to be either to light, or too dark. 5. Invest in camera bag. It’s not just a cute bag, but also it protects the camera of getting dirty or getting damaged. 6. After taking photo, no need to shake it, keep it in a dark and warm place for a better effect. Your pocket for example. 7. I found, I that taking photos in large open spaces, (sea, mountains etc.) the camera may not catch the background as you wish. Just consider that. 8. It’s a traditional way of taking images. They great realistic photos but don’t expect a DLRS quality photographs as the camera it’s too small and the mechanics its simply different to the HD staff. If you want your HD photos to be printed, consider to buy the actual printer for that. ( Officially on my wish list now) !! 9. Last thing, when buying the camera consider Amazon->Instax Mini 8 over Urban Outfitters, as I found it cheaper. Although, I learned that if you have a problem is easy to get exchanged from John Lewis & Urban Outfitters than Amazon. You can also buy with amazing deal on PolarSnap. 10. One package of film contains 2 x 10. If you head to Amazon and type: Instax Mini 8 film you will get them for as little as £13 something. 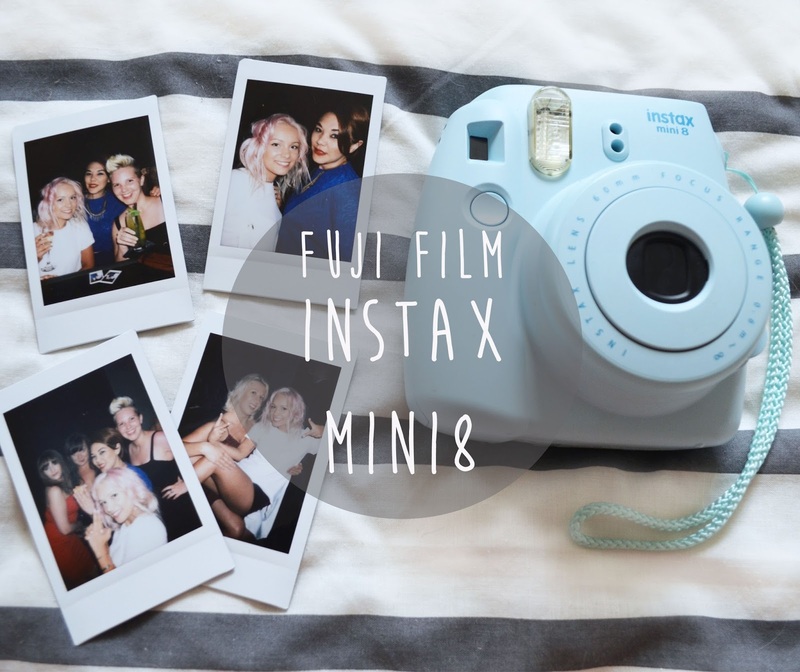 I have gathered all my favourite images for you to see how I love my Instax Mini 8! Love your blog. Just ordered my first mini 8 today (in grape). Any suggestions that you can help me with that you learned as you used your camera. Any help would be very gratefully appreciated. You are awesome! Pls keep up your blog and hugs from Florida! Thanks for sharing nice blog & I love to click photos from Instax Camera. I many times create some guestbook of my friends wedding, birthday & many more…. That camera looks fabulous Ana. Years ago I had a Polaroid camera and loved the instant pics. I think I might have to add one of these to my Christmas list! Choosing a colour looks like the hardest it though! Yay, I love the Instax! We used it for our wedding guestbook, it went down a treat! The mini is way cuter than ours though, ours is a chunky beast! Such a gorgeous little camera. It is top of my Christmas wish list ! I love Polaroids, I really need to get myself one of these! Found this camera the other day and it sounded like a brilliant idea! Thanks for showing off the photos you took. Its made me want to buy it even more! My word I so need this in my life it way cool! I've seen that a lot of people have these and I don't blame them! I have always wanted a polaroid camera since I was little, and these Instax Mini's are just so so cute!! I've seen this camera around a lot and it looks like so much fun. I love instant cameras! This one is so CUTE! I have been after one of these cameras forever it seems, but I just know I'd take photos of EVERYTHING…so its best I don't haha. This look so fun I would love a camera like that! So cute I really want one of these cameras I think they are great, lovely pictures too! I love love the idea! I really want one as well and I adore the pastel colour of your Instax. My sister made me a photo book of my wedding and everyones wishes on the day of my wedding which she wouldnt be able to do so without a gadget like this! I love your little display as well, very classy!